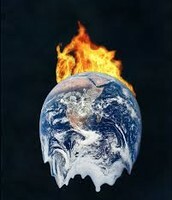 Global Warming is defined as an increase in the average temperature of the earth''s atmosphere over time. Our world has warmed by 5 to 9 Fahrenheit degrees over the past 18,000 to 20,000 years. The world's temperature may rise by as much as 12 Fahrenheit degrees by 2100. People burn fossil fuels (oil, gas, and coal). to power factories, run cars, produce electricity, and heat houses. As fossil fuels burn, they release carbon dioxide into the atmosphere. 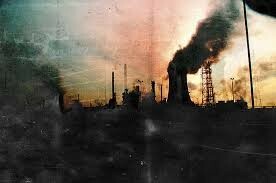 Six billion tons of carbon dioxide and other greenhouse gases into the earth's atmosphere each year. Also, people have cut down many forests. Trees use carbon dioxide when they make their own food. Fewer trees mean that less carbon dioxide is being taken out of the atmosphere. 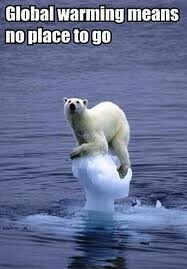 How Does Global Warming Affect Us? First, there is a trend toward higher temperatures worldwide. Second, the warmer weather could harm living things. 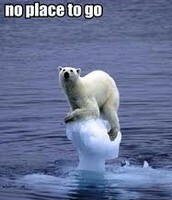 It also could cause polar ice caps to melt. This would cause sea levels to rise. Plants, animals, and buildings along coastlines would be in danger. Third, the changes could affect everything from wildlife to farming to public health. One report suggests that 20 to 30 percent of the world’s species could die out. Rising ocean temperatures will harm coral reefs. Warming will also harm other delicate ecosystems. Wildfires and insect pests will increase. That will put forests at risk. How Can We Stop Global Warming From Getting Worse? Governments are trying to find ways to limit the amount of greenhouse gases put into the air. Individual people can help by driving less. They also can save energy by turning off unneeded lights and other electrical devices. How Do We Know Global Warming Is Causing PRoblems? Satellite data shows a 10% decrease of snow cover since the late 1960s, and the Northern Hemisphere spring and summer sea-ice extent has decreased by about 10% to 15% since the 1950s. There has been a widespread melting of mountain glaciers in non-polar regions throughout the 20th century.